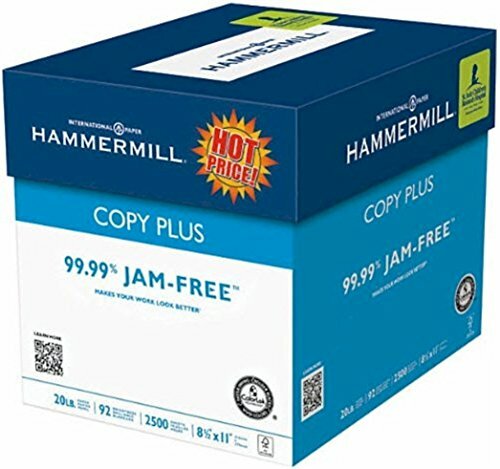 This convenient 5-ream case pack of Hammermill copy plus multipurpose paper is a great way to keep your home or office stocked. Paper perfect for use in all home and office printers. Great for general copying, proofing, forms, bulletins, manuals and faxes.